PCmagazine reviewed the EUROCOM Leopard 2.0 and were quite impressed with it. The Leopard 2.0 put up some of the highest laptop performance scores they had ever seen. 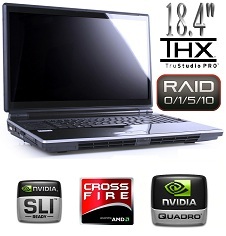 They like it so much, they awarded it as one of "The Top 10 Laptops" and rated it "4/5 Very Good". To see the list of Top 10 Laptops, in which the Leopard 2.0 is featured, read on.